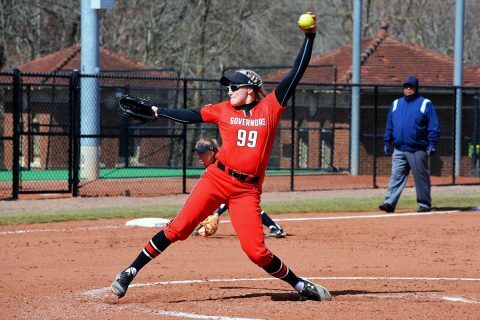 The Governors (16-14, 1-1 OVC) jumped on the Panthers (10-22, 1-3 OVC) early-on, with Kelsey Gross driving in Rackel – who had reached with a single — all the way around from first base on a two-out double to center field for the quick 1-0 advantage. Rackel would also have a hand in the Govs next run in the top of the third, as she doubled in Drew Dudley to make it 2-0. The Govs would break the game open in the fourth inning by scoring three more runs, highlighted by a two-run double by Dudley and a sacrifice fly from Kacy Acree. Austin Peay would closeout the games scoring with four final runs in the fifth inning, with Natalie Schilling driving in two with a single, Brooke Pfefferle by being hit by a pitch with the bases loaded and the final run scoring on a ground out by Dudley. The Govs fell behind the Panthers 4-0 after the first three innings, despite having scoring chances in each of the first innings by getting runners into scoring position in each. Carly Mattson would finally get the Govs on the board with her sixth home run of the season to open the fourth inning, but that would be all the scoring APSU would muster as they left seven runners on base in the game and outhit the Panthers overall, 8-6. Morgan Rackel has not allowed more than one earned run in each of her last five starts in the circle. Kacy Acree and Morgan Rackel have seven-game hit streaks. 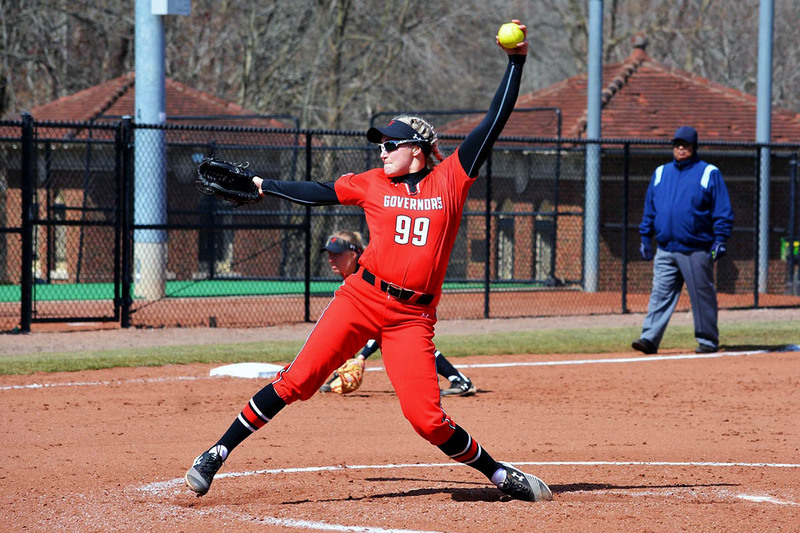 Kelsey Gross has recorded 10 strikeouts in her last 7.1 innings of relief pitching. Kacy Acree moved past Leigh Pettyjohn (1987-90) for sixth-place all-time in career hits (181). Morgan Rackel’s shutout was the 12th of her career.